Hello! Welcome to the Taylored Expressions April Spotlight Day! All of the products that we have been peeking the last couple of days are now available in the TE store in the Fresh Out of the Oven Department! 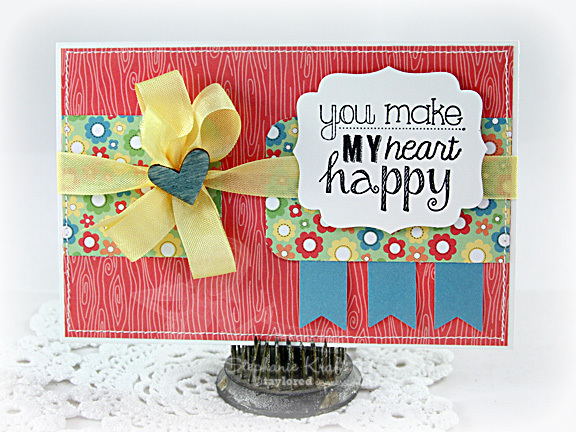 Today I have a couple of Project Life cards to show you, both using the new Happy Heart petite stamp set. I used Jen's Deconstructed Sketch #94 on the first one (and a slight variation for the second card). Accessories: Taylored Dies: Banner Stacklets 1, Labels Stacklets 2 (Taylored Expressions); Corner Chomper (WRMK), Markers (Copic), Wood veneer heart (Studio Calico), Seam binding, Foam tape, Thread, Sewing machine. Accessories: Taylored Dies: Banner Stacklets 1, Labels Stacklets 2 (Taylored Expressions); Corner Chomper (WRMK), Pearls (Kaisercraft), Foam tape, Thread, Sewing machine. These are so pretty, Stephanie! Love the red wood dp and the wood heart with the pop of yellow! 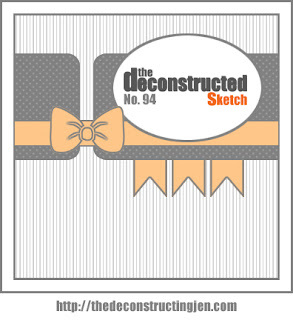 I might have to try Jen's sketch, love what you did with it! Have a great weekend! Hugs! Love what you did with Jen's sketch! Both cards are fabulous! Such pretty cards Stephanie! 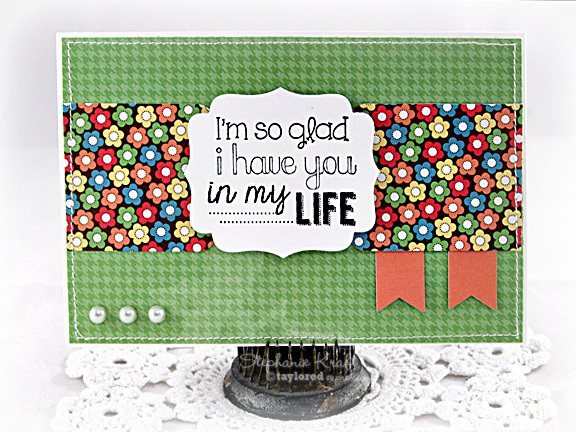 Love the cheerful patterned paper!